Even without losing fat, more muscle appears to go a long way in fighting off the bad cardiovascular effects of obesity. That emerging evidence has scientists looking hard for new targets to uncouple the unhealthy relationship between fat and cardiovascular disease. “If you look at the exercise literature, we understand very well that if you exercise, things get better. What we don’t really understand is what about exercise is good; what does it tell us about physiology and how disease starts, and how can you customize it to different populations?” said Dr. David Stepp, vascular biologist in the Vascular Biology Center at the Medical College of Georgia at Georgia Regents University. 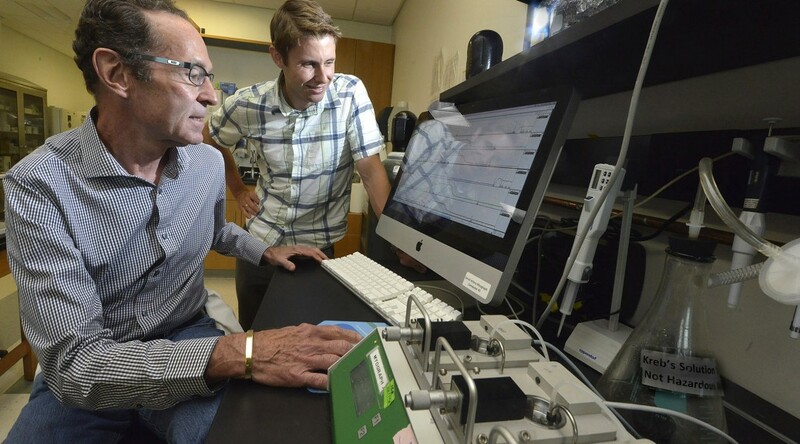 Stepp and his colleagues have evidence that an increase in muscle mass – a huge consumer of glucose, a natural energy source that is often elevated in obesity – could mean a healthier ticket for some. While fat has the unhealthy habit of storing fuel, “muscle is a much more metabolically active tissue, even when it’s just sitting there,” Stepp said. “It burns more oxygen at rest; it burns more energy at rest; so it burns more calories at rest.” Some of things scientists don’t know is if muscles secrete something that improves glucose metabolism or if just having more glucose-consuming muscle is the apparent magic. 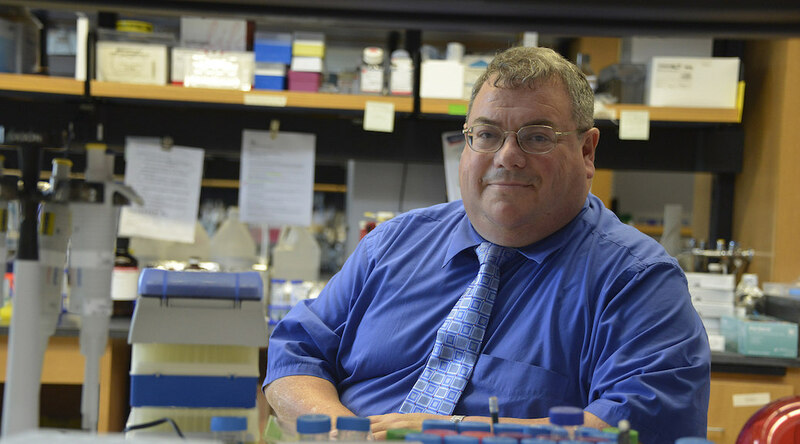 A new $2.2 million grant from the National Heart, Lung, and Blood Institute is helping fill in those important blanks as it illuminates new points for intervening in one of the worst consequences of obesity. Stepp and Fulton were authors on a 2014 study in the Journal of the American Heart Association that showed the benefits of adding muscle when fat is monopolizing the body. They looked at normal mice and mice genetically altered to be obese – mice with voracious appetites that soon doubled their normal weight – as examples of a healthy and unhealthy human. When they deleted myostatin, a natural, negative regulator of muscle growth, from both, both groups developed bigger muscles. The normal mice also had less fat tissue. But it was the obese-with-muscles mice that truly benefited in the cardiovascular sense: glucose tolerance and blood vessel dilation went up and insulin resistance and superoxide production went down. More muscle didn’t result in these additional changes in the leaner mice. When they looked further at the obese mice, minus the muscles, they also found the superoxide- producing gene Nox1 is a major culprit in obesity-related vascular disease. In fact, the gene is overexpressed in the blood vessels of the fat mice, apparently driven by high glucose levels in the blood. Obese mice with no muscle added but Nox1 removed also experience cardiovascular improvement, an observation that Postdoctoral Fellow Dr. Jennifer Thompson is pursuing further with a new American Heart Association grant. Meanwhile, Stepp and Fulton are exploring how elevated blood glucose elevates Nox1, acknowledging that while it makes intuitive sense, the science needs to be clear. Because while the search is on for Nox1 inhibitors, there aren’t any at this moment. Fulton and Stepp hope their studies will further inspire the search and identify additional points of intervention as well. “We know that high glucose goes to Nox1 goes to superoxide, and superoxide goes to cardiovascular disease. What we don’t know is what is in between glucose and Nox1,” Stepp said. A possibility is galectin-3, a receptor for proteins that get coated with glucose when circulating levels of the sugar get too high. At least in culture, when glucose is added to cells, they produce more Nox1. But when the scientists block galectin-3 and add glucose, Nox1 doesn’t increase. While it’s known that sugar-coating messes up protein function, the scientists aren’t certain what galectin-3 is doing. Is it clearing the dysfunctional proteins, telling them to die, and/or driving up Nox1? So they are looking at the signaling between all of the above. They are also developing additional mice models, where Nox1 and galectin-3 are removed from already genetically fat mice, to further explore their role in vascular dysfunction. They will also explore the cardiovascular impact, such as blood pressure and how well blood vessels dilate in response to stress, in their fat mice models with added muscle as well as the two new knockouts. The bottom line: they want to know if they can break “the metabolic connection” between fat and cardiovascular disease. “Where is the key event that causes all these bad things to happen?” Stepp said, and, of course, where and how best to intervene. Myostatin is part of the yin and yang of muscle growth that enables us, with some effort, to have good, but not excessive, muscle mass. High myostatin levels can produce muscular dystrophy; low ones can mean incredible bulk. Myostatin levels tend to decrease with exercise and increase with aging. Injectable or infusible myostatin inhibitors are under study for muscular dystrophy and frailty syndrome, where older individuals lose so much muscle mass that they fall frequently. But the drugs are not generally available, even to scientists. While experience with the inhibitors is limited, life with less myostatin appears to be a good thing: Stepp said mice short one copy of the myostatin gene live longer, and humans with documented myostatin deficiency tend to be Olympic athletes. 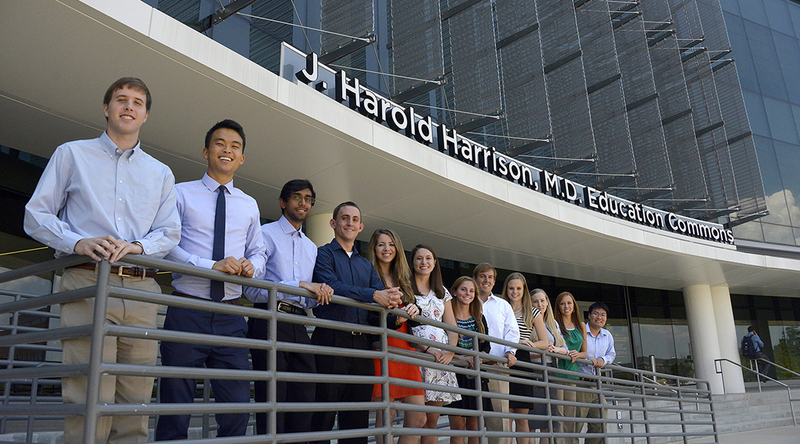 Twelve members of the Class of 2019 at the Medical College of Georgia at Georgia Regents University are the newest Harrison Scholars and the recipients of scholarships made possible by the largest gift in the medical school’s history. The unprecedented $66 million gift by Dr. J. Harold Harrison, the renowned vascular surgeon from Kite, Georgia, and 1948 MCG graduate, and his wife, Sue, enables MCG to offer 12 scholarships – six full and six partial – to each freshman class. Six scholarships – three full and three partial – were given to students in the Class of 2018. The full scholarships, the first MCG has ever offered, cover the entire $28,358 annual, instate tuition cost, said Dr. James B. Osborne, president and CEO of the MCG Foundation, which has oversight of the Harrison gift. Six Harrison Scholars received partial scholarships of $15,000 annually. The merit-based scholarships, which emphasize intellect and outstanding leadership potential, are effective for four years but will be reviewed annually to ensure that recipients continue to meet eligibility standards. In addition to the student scholarships, 10 University Distinguished Chairs, funded at $2 million each, will be established over the next five years thanks to the Harrison gift. 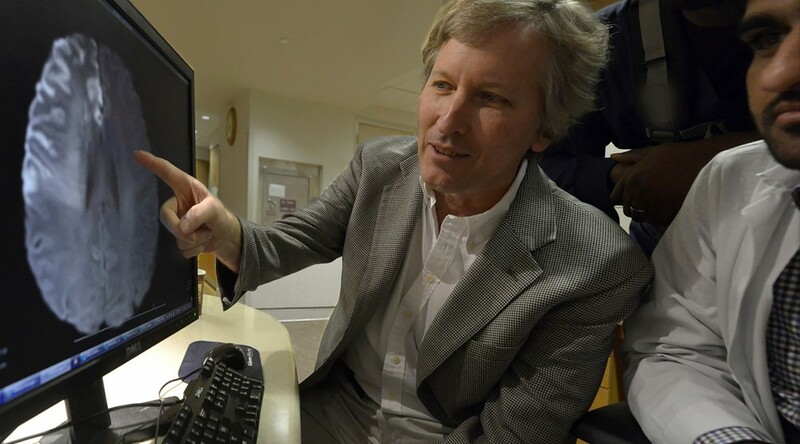 Harrison died June 2, 2012, and a few months later, GRU announced that Harrison and his wife, Sue, had given his name and $10 million toward construction of a new academic home for the medical school. The J. Harold Harrison, M.D. Education Commons opened this fall. The MCG Foundation announced the $66 million gift for student scholarship and endowed chairs for faculty in April 2013. John Ahn, of Calhoun, Georgia, studied biology at Andrews University in Berrien Springs, Michigan. While in college, he spent six months working and living in two hospitals in Chad, one of Africa’s poorest countries. Ahn survived four bouts with malaria while there performing an array of jobs with other volunteers, from feeding malnourished babies to changing dressings. “Through that experience, I developed a meaningful attraction to the heart of medicine: the patients,” he writes. Katharine Armstrong, of Atlanta, wants to pursue a career as a pediatric oncologist. While studying music and biochemistry at Washington and Lee University in Lexington, Virginia, watching her best friend’s father lose his battle with cancer solidified her future goal. Spending two months after her sophomore year living with a family in Argentina and teaching at a secondary school only confirmed her desire to work with children. Leah Brown of Oconee County, Georgia, graduated from the University of Georgia with a degree in microbiology and is considering a career in infectious diseases. “Maybe I won’t physically touch every patient … but my footprints will be made regardless, for the one who makes the pivotal step in a journey is not always so clearly remembered. But every step can make a lasting impression,” she writes. Mariah Burch, of Atlanta, is a graduate of Boston University with a degree in neuroscience, who also shadowed MCG alum Dr. Thomas Calk, whom she says taught her an invaluable lesson while treating a patient with a genetic abnormality that left him with severe mental and physical disabilities. “During the appointment, Dr. Calk and the patient seemed like old friends. When the patient left, his smile was genuine. I observed that even if it’s not possible to heal a patient, it is possible to improve his or her life,” she writes. Christine Gross, of North Augusta, is a graduate of the University of South Carolina with a degree in biology, who also received her doctorate from Georgia Regents University. Gross aspires to be a physician-scientist. “I believe the best scientists have an eye for the needs of patients, and the finest physicians understand the science behind the medicine they prescribe,” she writes. Vishwajeeth Pasham, of Alpharetta, Georgia, is a graduate of the University of South Florida who studied biomedical sciences. Before deciding to go to medical school, Pasham spent time shadowing physicians and scientists, including an M.D./Ph.D., who practiced plastic surgery and researched wound healing. Alexandra Sawyer, of Atlanta, is a graduate of the University of Georgia, where she studied epidemiology and health promotions. Through her work with the Farm Worker Family Health Program, she gained valuable perspectives on public health, but she “valued most the times I sat down with patients to discuss their individual questions and gained a deepened desire for the clinical skills to assist them further,” she writes. Ryan Schwertner, of Saint Simons Island, Georgia, graduated from the University of Georgia with a degree in biology. “I want to be the doctor that people trust to act in their best interest, no matter what, and after completing medical school, this is the doctor that I believe I can become,” he writes. William “Cole” Skinner, of Savannah, a graduate of the University of Georgia with a degree in biology, spent his childhood learning life lessons while gardening with his grandfather, also a physician. “Through gardening together, Pop taught me an invaluable lesson about being a physician. Though I was too young to observe him at work, I will always recall his selfless attitude. Whether it was responding to patient calls during the night or happily helping those who he knew could not pay their bill, he always put his patients first,” he writes. Andrew Warren, of Atlanta, is a graduate of the Georgia Institute of Technology, where he studied biology. As a Georgia Tech President’s Scholar, he was able to travel to Yugoslavia as an expedition leader. On the trip, the group explored the causes of and gained appreciation for the 1990’s ethnic conflict and subsequent breakup of Yugoslavia. Erena Weathers, of Atlanta, is a graduate of the University of Georgia with a degree in microbiology and bacteriology. As a hobby and a way to relieve the stress of school and work, she runs a blog about how to maintain weight while eating well. Wells Yang, of Johns Creek, Georgia, is a graduate of the Georgia Institute of Technology, where he studied biomedical engineering. “Both medicine and engineering revolve around solving problems, and although their objectives may be different sometimes, the same passion and dedication are necessary to succeed in both professions,” he writes. A receptor that is already a target for treating neurodegenerative disease also appears to play a key role in supporting the retina, scientists report. Without sigma 1 receptor, the Müller cells that support the retina can’t seem to control their own levels of destructive oxidative stress, and consequently can’t properly support the millions of specialized neurons that enable us to transform light into images, scientists report in the journal Free Radical Biology and Medicine. 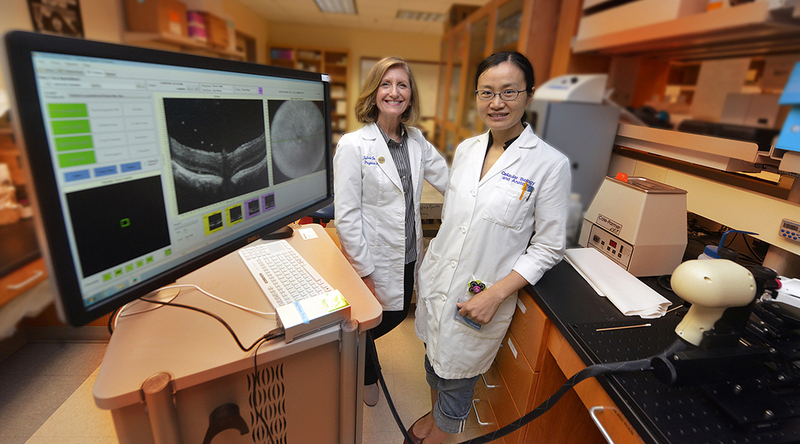 The surprising finding makes the sigma 1 receptor a logical treatment target for these typically progressive and blinding retinal diseases, said Smith, the study’s corresponding author. It has implications as well for other major diseases, such as cardiovascular disease and cancer as well as neurodegenerative disease, where oxidative stress plays a role. What most surprised the scientists was that simply removing sigma 1 receptor from Müller cells significantly increased levels of reactive oxygen species, or ROS, indicating the receptor’s direct role in the oxidative stress response, Smith said. They expected it would take them giving an oxidative stressor to increase ROS levels. So they looked further at the sigma 1 receptor knockouts compared with normal mice, and found significantly decreased expression in the knockouts of several, well-known antioxidant genes and their proteins. Further examination showed a change in the usual stress response. These genes that make natural antioxidants contain antioxidant response element, or ARE which, in the face of oxidative stress, gets activated by NRF2, a transcription factor that usually stays in the fluid part of the cell, or cytoplasm. NRF2 is considered one of the most important regulators of the expression of antioxidant molecules. Normally the protein KEAP1 keeps it essentially inactive in the cytoplasm until needed, then it moves to the cell nucleus where it can help mount a defense. “When you have oxidative stress, you want this,” Smith said of the stress response, which works the same throughout the body. Deleting the sigma receptor in the Müller cells altered the desired response: NRF2 expression decreased while KEAP1 expression increased. The unhealthy bottom line was that ROS levels increased as well. The study is believed to provide the first evidence of the direct impact of the sigma 1 receptor on the levels of NRF2 and KEAP1, the researchers write. “We think we are beginning to understand the mechanism by which sigma 1 receptor may work and it may work because of its action on releasing antioxidant genes,” Smith said. While the ubiquitous receptor was known to help protect neurons in the brain and eye, its impact on Müller cell function was previously unknown. 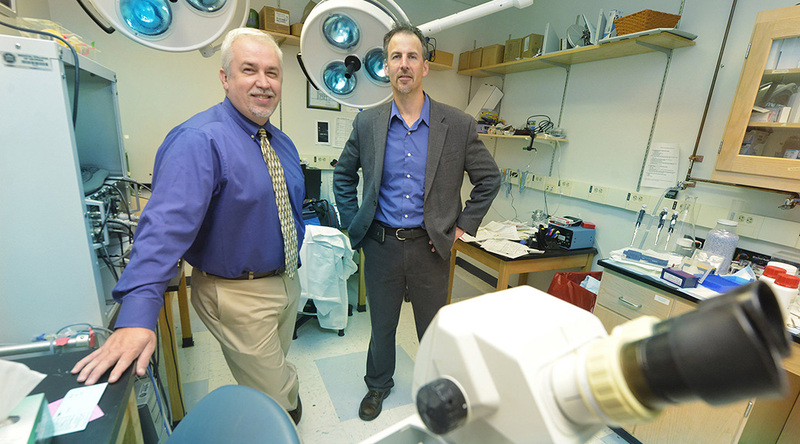 The significant impact the MCG scientists have now found helps explain the dramatic change they documented after using pentazocine, a narcotic already used for pain relief, in animal models of both retinitis pigmentosa and diabetic retinopathy. Pentazocine, which binds to and activates the sigma 1 receptor, seems to preserve functional vision in these disease models by enabling many of the well-stratified layers of photoreceptor cells to survive. Next steps include clarifying whether it’s actually preservation or regeneration of the essential cell layers and how long the effect lasts. “We do see some retention of function, that is clear and that I am very excited about,” Smith said. Müller cells are major support cells for the retina, helping stabilize its complex, multi-layer structure, both horizontally and vertically; eliminating debris; and supporting the function and metabolism of its neurons and blood vessels. Typically bustling Müller cells can become even more activated when there is an insult to the eye, such as increased oxidative stress, and start forming scar tissue, which hinders rather than supports vision. Problems such as diabetes, can increase ROS levels. ROS are molecules produced through normal body function such as breathing and cells using energy. The body needs a limited amount of ROS to carry out additional functions, such as cell signaling. Problems, from eye disease to cancer, result when the body’s natural system for eliminating excess ROS can’t keep up and ROS start to do harm, such as cell destruction. Normally humans have about 125 million night-vision enabling rods intermingled with about 6 million cones that enable us to respond to light and see color. The research was supported by the National Eye Institute and the James and Jean Culver Vision Discovery Institute at GRU. 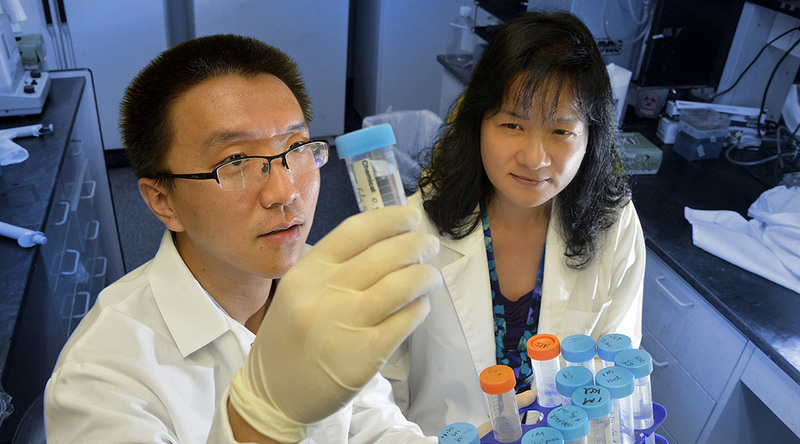 MCG Assistant Research Scientist Dr. Jing Wang is the study’s first author. DNA damage increases the risk of cancer, and researchers have found that a protein, known to rally when cells get stressed, plays a critical, early step in its repair. In the rapid, complex scenario that enables a cell to repair DNA damage or die, ATF3, or activating transcription factor 3, appears to be a true first responder, increasing its levels then finding and binding to another protein, Tip60, which will ultimately help attract a swarm of other proteins to the damage site. “This protein is a so-called stress responder, so when a cell senses stress, such as DNA damage, this protein can be induced,” said Dr. Chunhong Yan, molecular biologist at the Georgia Regent University Cancer Center and the Department of Biochemistry and Molecular Biology at the Medical College of Georgia at GRU. “One of the things we found is that ATF3 can bind to the Tip60 protein and promote the DNA damage repair function,” said Yan, corresponding author of the study published in the journal Nature Communications. Like its partner Tip60, ATF3 is expressed at low levels until cells get stressed, and DNA mutation is one of the most common cell stressors. ATF3 then finds and binds to Tip60, increasing the usually unstable protein’s stability and level of expression. “If you look at the DNA under the microscope, you will see the damage site somehow labeled by this protein,” Yan said. Tip60, in turn, modifies the protein ATM, helping it form a sort of scaffold where other worker bee proteins soon assemble. While it may take years for a cell to recognize DNA damage, once it does, the response occurs within minutes. One of the early arrivals to the ATM scaffold is p53, a known and powerful tumor suppressor. Once on the scene, p53 helps assess whether or not the damage is repairable. If not, it triggers cell suicide. If the damage is fixable, it will arrest cell proliferation and help start the repair. There is clearly a protein connection. When researchers knock ATF3 down, Tip60 activation and ATM signaling both go down. Cells start accumulating DNA damage and become more vulnerable to additional stress, setting the stage for cancer and other problems. Previously there was no known relationship between ATF3 and Tip60. Many factors, including sunlight, even chemotherapy, can cause DNA mutations. Mutations can even occur in the normal process of a cell multiplying, as cells do commonly in areas such as the skin and gastrointestinal tract, and tend to increase with aging. Cancer itself can cause additional mutations as it morphs to try to escape whatever treatment is being used against it. In fact, DNA repair likely is a constant in the body that works well most of the time. “That is why understanding DNA damage response is so important,” said Yan. In human cancer cells, the researchers have shown that ATF3’s role precedes previously known steps. Future studies include finding a drug that could help cells make even more of this stress responder as a possible adjunct cancer therapy. “We want to find a drug that can increase expression of this ATF3 in the body, and this increased ATF3 can promote Tip60 activity and overall promote cell response to DNA damage,” Yan said. The body naturally increases ATF3 levels in response to stress, including chemotherapy. In fact, many of the older cancer drugs intentionally damage DNA in an effort to promote cancer cell death. Now that ATF3’s connection to DNA repair has been made, that synergy likely explains another way chemotherapy works. However, additional study is needed to find a more targeted ATF3 activator without the numerous, known side effects of chemotherapy or other known stressors, Yan said. While the protein ATF3 was known to be a stress responder, just how it responded has mostly remained a mystery. “We really don’t know much about this protein,” said Yan said. A decade ago, his research team found that ATF3 directly regulates the tumor suppressor p53. 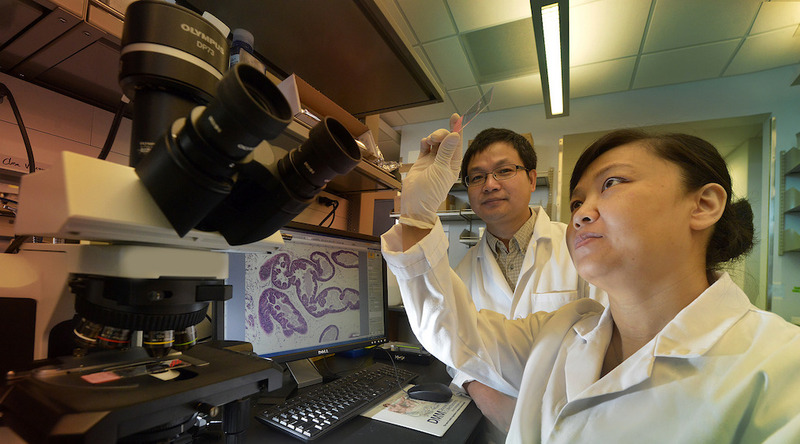 “A next logical step is how can we make more ATF3?” While it’s not yet done clinically, in his lab, Yan has measured ATF3 levels in the tissue of cancer patients and found the levels are low and/or that the ATF3 gene itself is mutated. One day, measuring ATF3 levels might also help predict who is at highest risk for cancer, he said. 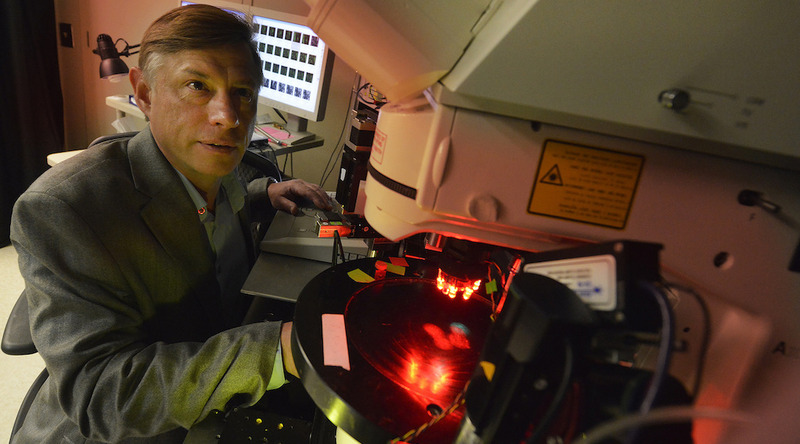 The research was funded by the National Institutes of Health. 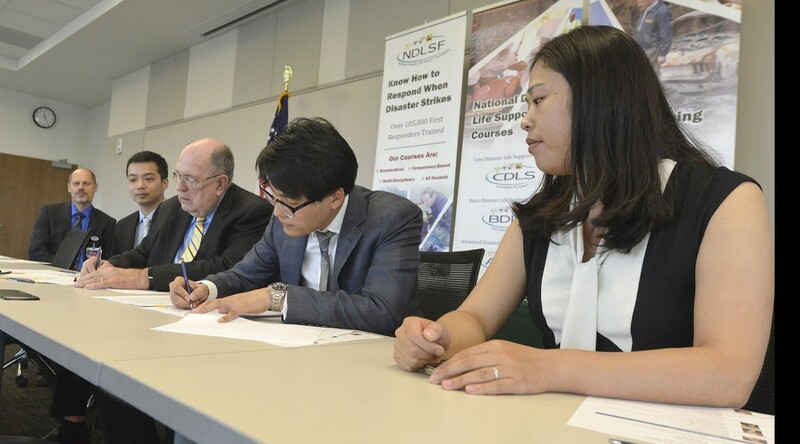 Postdoctoral Fellow, Dr. Hongmei Cui, is the study’s first author.